You’ve got ages till the countdown to midnight so you may as well read: The PDtP Review of 2017! January arrived like a bucket of cold water in the face but what better way to ease oneself into the New Year than getting tanked up on booze and polyphony by Kirbye, Giovanelli, Stoltzer and many others? And so ends another successful #Counterpint session. Thanks to all who came & thanks to @dcphayes for generously leading Part 2! After our three January sessions had well and truly got the motor running, we were ready for some big stuff in February. So, having had English, Iberian and Italian Specials back in 2015 & 2016, we finally got around to the masters of the Franco-Flemish school. With February being a short month, March’s arrival came too quickly, leaving little time to produce a poster (though we’d have to wait till July for a truly terrible piece of graphic design). April’s session proved to be incredibly popular as it was our first session to be dedicated solely to the works of one composer: Tomás Luis de Victoria. We’ve long established the tradition of dedicating May’s session to madrigals and we were fortunate to be able to hold this year’s session on May Day itself. Despite the heat tonight's #CafeCounterpint @Trvllng_Thrgh going like a dream! The Fevin in particular was out of this world. I hesitate to even use the word ‘poster’ to describe the pathetic attempt to promote July’s session but it clearly didn’t put off any punters! PDtP triumphantly returned in September with works by Victoria, Zielenski, Crecquillon &, making a relatively rare appearance owing to his largely Baroque shenanigans, Monteverdi. Big fun at 2nite's #CafeCounterpint @Trvllng_Thrgh. Isaac/Byrd/Lassus/Monteverdi so far; Crecquillon/Palestrina/Zieleński/Victoria up next. October brought our 3rd Birthday Party and we celebrated in style by reprising a masterpiece from each of the previous 12 months’ worth of sessions. At #CafeCounterpint 2nite was John, 88 yo & singing again after 40 yrs. He left the session beaming with joy. This is why we do what we do. November was busy, busy, busy, with no fewer than four sessions taking place in the month. First up was the return of the PDtP Double-Choir Special in which we divided the room and doubled the fun! The very next day (yikes), we returned to Kingston to celebrate 2 years of Counterpint in the venue where it all began, the Canbury Arms. A challenging setlist at tonight's #CafeCounterpint but we (largely) came through in the end! Well done to all who came and thanks again to @Trvllng_Thrgh for hosting us. With a stubborn refusal to learn from November’s knackering schedule, we launched into a packed month of seasonal singing in December. First up was our ever popular Christmas Special, which brought us tinsel-tinged masterpieces from Praetorius, Palestrina, Bodenschatz & Victoria, among others. And now for Palestrina. Brilliantly sight-read. And sung! As it was Christmas, we passed around the bucket and collected over £350 for good causes! …we took ourselves over to Borough Market to get Londoners singing and to raise even more money for charity! It was a lovely, lovely way to finish off a year of great singing and thanks again to all of you who gave up your time to take part. 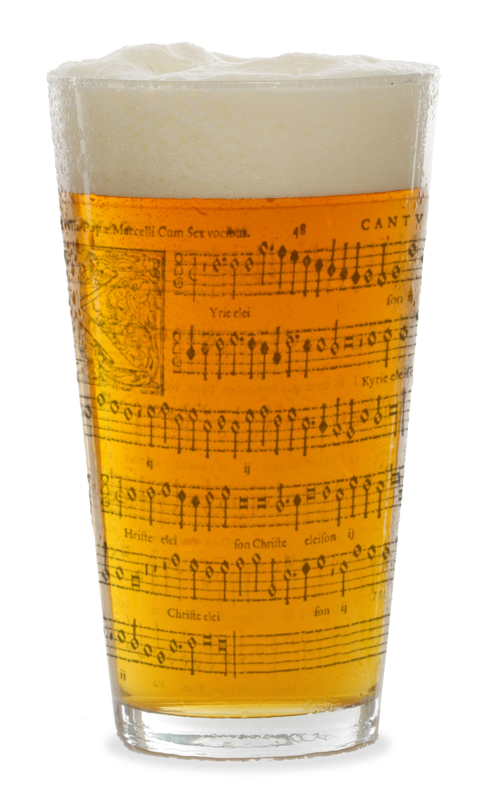 We will of course be back in the New Year with more PDtP London, PDtP Brighton, Counterpint & Counterpint in the Cafe (details to follow shortly), but for the moment, I want to wish all our PDtP/Conterpint friends a very Happy New Year and I look forward to singing with you all again soon. Happy new year Kevin and Thankyou for all the fun singing! Next Next post: Brighton, we’re back!